Swinging: From gripping the swing chains to pumping legs to swing higher, a child on a swing is learning fine and gross motor skills. Climbing: Whether they’re climbing ladders or pulling up on bars, kids are learning new skills by going up and down playground features. From deciding where to put a hand to knowing what directions such as up and down mean, there’s a lot of new understanding taking place. 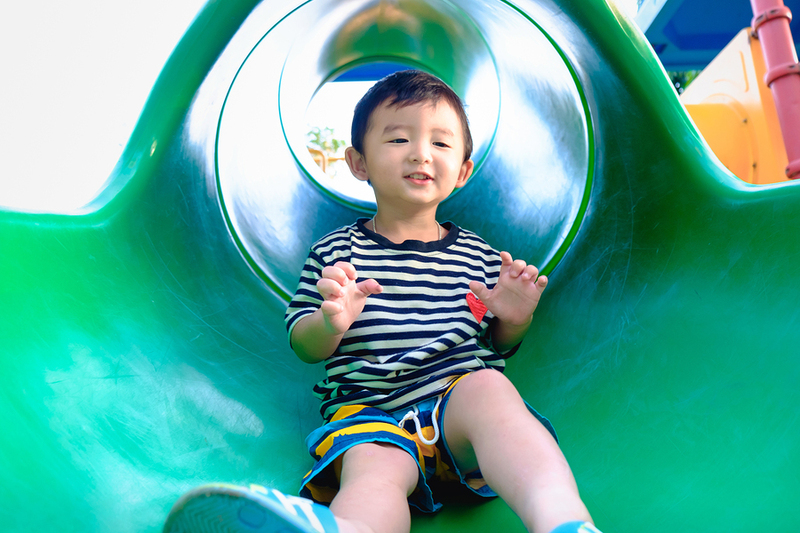 Unstructured play: Another opportunity for learning on a playground is one of the simplest and most enjoyable. As kids get to play freely with friends, making up games and interacting with one another, they gain social skills, learn cues such as body language, grow vocabularies, practice using their imagination and more. However, while giving children a chance to play outdoors is important to their development, it’s also crucial to ensure they remain safe. To learn more about keeping kids safe on slides, swings and climbing bars, take a look at the playground safety infographic below. Next article Fun at First & Main returns Aug. 2 for Water Fun!